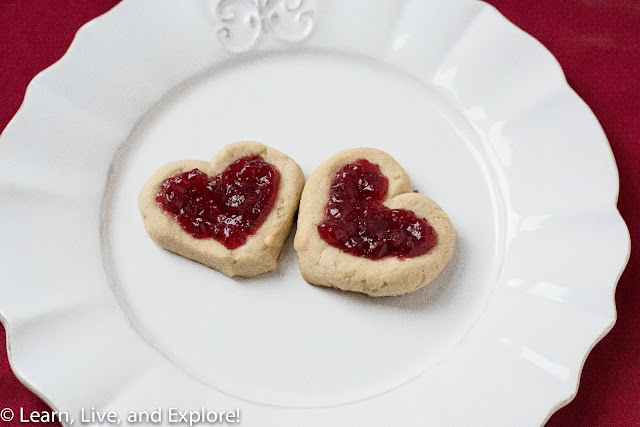 Valentine's Baking: Heart Thumbprint Cookies ~ Learn, Live, and Explore! Now these are some hearts you're going to want to break...in half and shove in your mouth. If you're a fan of thumbprint cookies, you will love these because each are made with not one, but two balls of buttery dough. And for the baking challenged, they are super simple to make! 7. Take the combined dough and two roll balls 3/4"-1" in diameter in your hand. Press the two balls together, gently, so they are side by side. 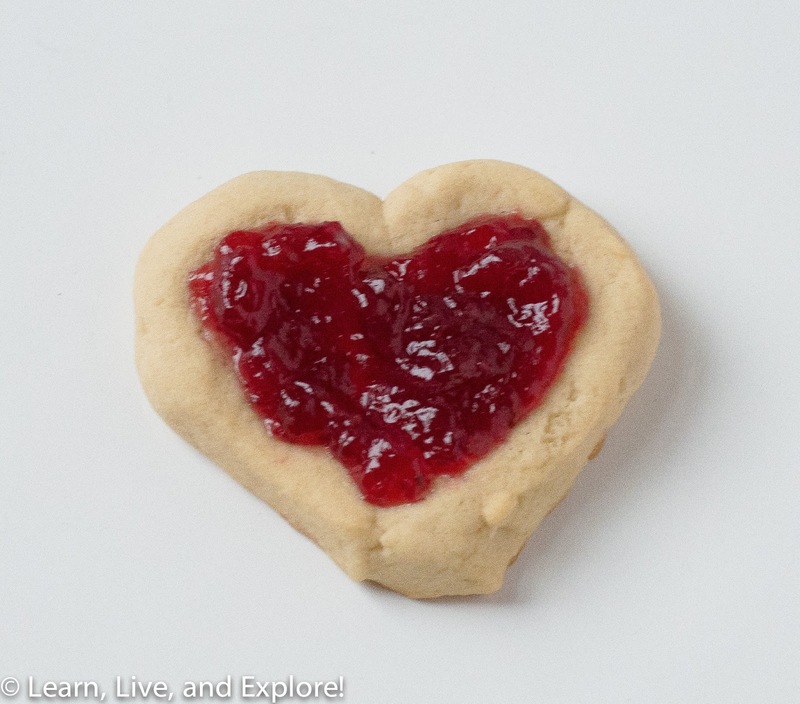 Press your thumb or index finger into the center to create an indentation, then drag your fingers along the outside of the pressed dough to gently shape the tip of the heart bottom. 8. 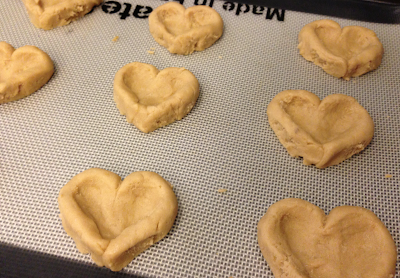 Place cookies on a parchment or silpat lined baking sheet (ungreased), leaving 2" between cookies. 9. Bake for 7-9 minutes, until the edges are light brown, then remove and put on a wire rack. 10. While the cookies are still warm, spoon or pipe the preserves into the indented heart.